Since I had a lot of vegetables left over from not completing the Joe Cross’ 3-Day Weekend Juice Cleanse I decided to use them up in a frittata. 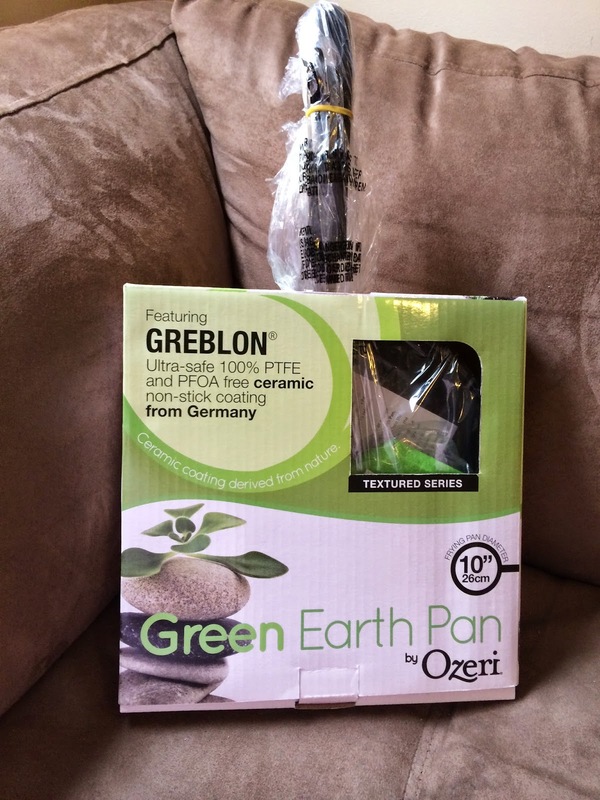 I used my new Ozeri Green Earth Textured Pan because it can go in the oven because of it's silicone coated handle. I love that you can saute the veggies in the pan on the stove top and then finish cooking the eggs in the oven. The Ozeri Green Earth Textured Pan is one of the world's first frying pans to achieve non-stick coating while remaining absolutely free of PTFE, PFOA and other harmful chemicals. Other brands use PTFE (PolyTetraFluoroEthylene), a synthetic substance that has waxy properties for their nonstick coating. The fumes from that substance can become harmful to birds, small pets and even humans when heated at high temperatures. These pans also contain PFOA (PerFluoroOctanoic Acid) which is very harmful to the environment through fumes that are released with high temperatures. 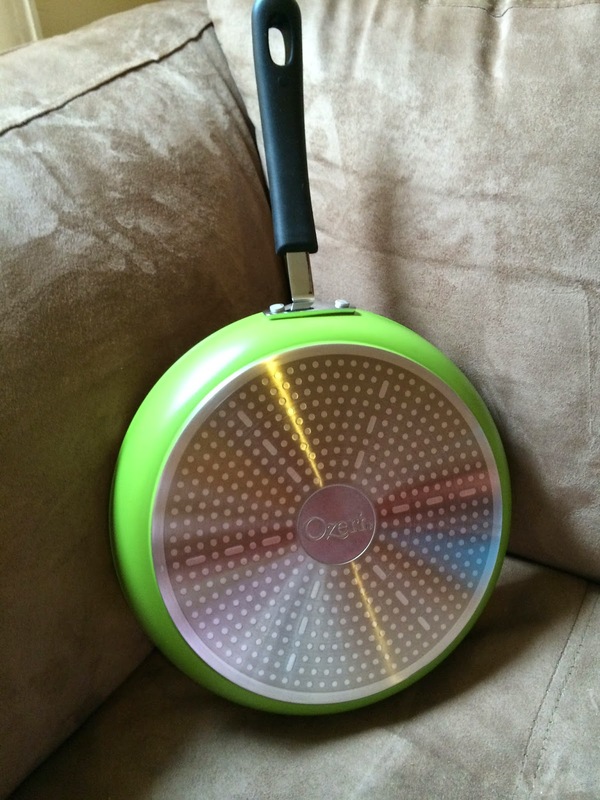 You can also cook lighter with the Ozeri Green Earth Textured Pan because of it's super non stick coating you can use as a little as half the amount of oil normally used. It is also super easy to clean. Because it is made of high quality die-cast aluminum it allows for even cooking and great browning without hot spots. The textured cooking surface creates air pockets which distribute heat underneath food to enhance cooking performance. 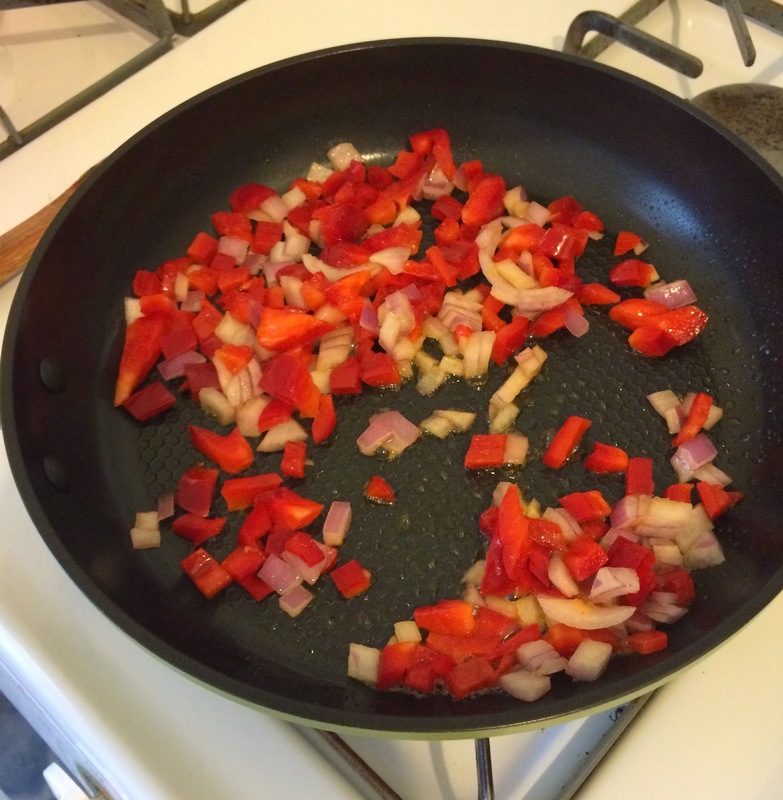 Add oil into pan and saute the onion and pepper until softened a bit. Add the mushroom and continue to saute until they have softened. Add the kale and saute for a few minutes. While vegetables are cooking whisk eggs until fluffy. Add the cheeses to the eggs and mix well. Pour eggs over sauted vegetables and cook for a about a minute until the sides begin to set. Transfer your pan to the oven and let it cook for about 12-15 minutes until the middle of the frittata is set and cooked. Slide onto an a plate large enough to hold the whole frittata. Take another plate place on top and turn the frittata. Slice into wedges and enjoy! The pan sounds amazing and the recipe sounds so good. Thank you for sharing. I have been thinking of getting a green pan. Your food looks tasty. I haven't made frittata in such a long time! 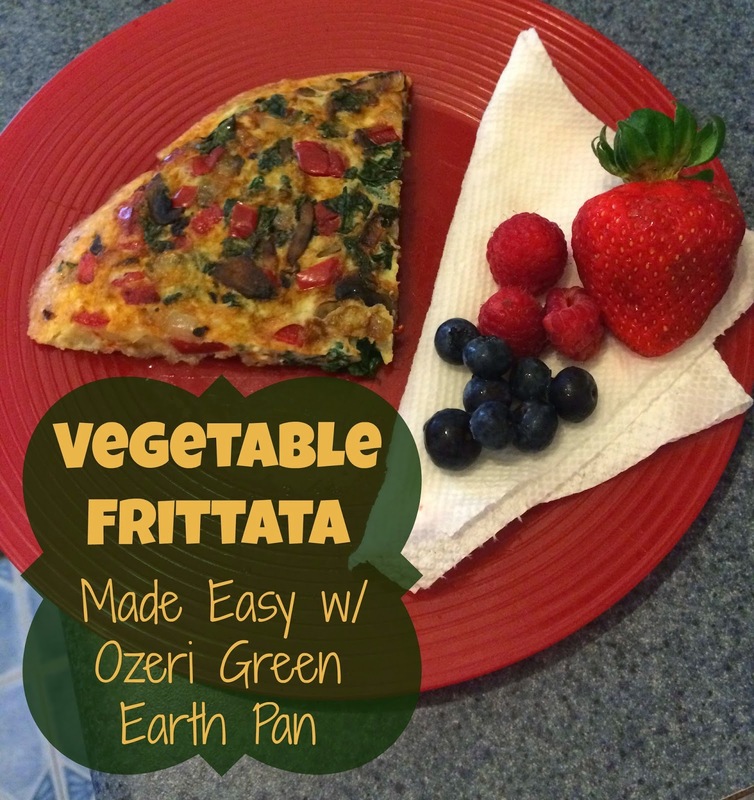 Your vegetable frittata recipe looks so delicious and healthy! I want that green pan!!! Thats so great that you can just stick it right n the oven- awesome idea! I love frittatas, but hate when they stick to the pan... I will have to try this pan out! I love the pan! The food looks good too! The pizza looks so yummy and the pan is great with it's non-stick feature. That looks delicious and I have the same pan, love it! Delicious and i think a healthy food. 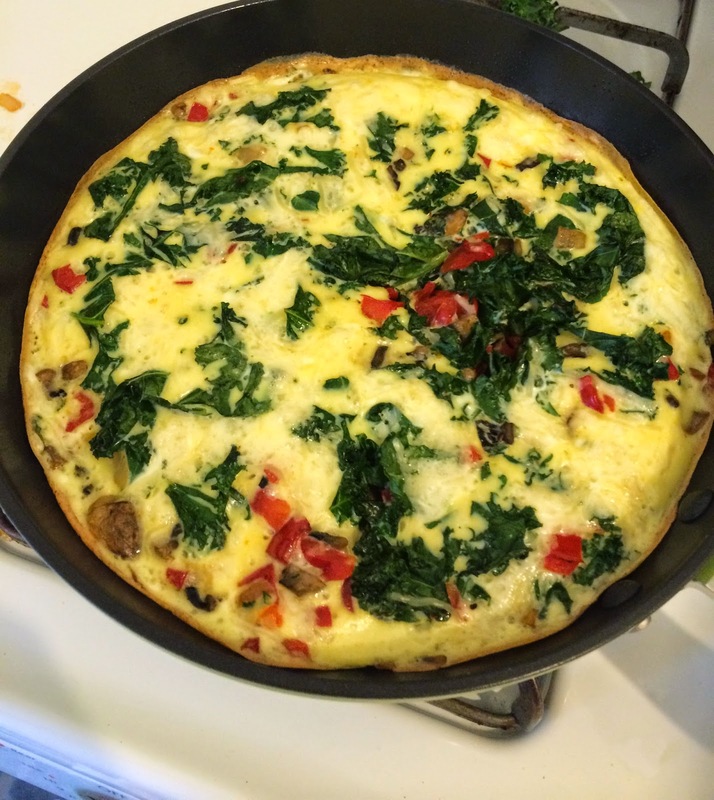 Very interesting post...would love to try this'd pan sometime and your frittata looks good. This looks so easy and healthy! The pan looks almost as good as the food you made in it! The frittata looks awesome! My wife keeps telling me we need new pans, maybe this is the pan to look into.. I got a ceramic pan when I got married, over 20 years ago, and it is still in working order. I need a pan like that! Your frittata looks so good. Now I want to go make one. I love frittata and yours sounds wonderful. That pan sounds great, too! 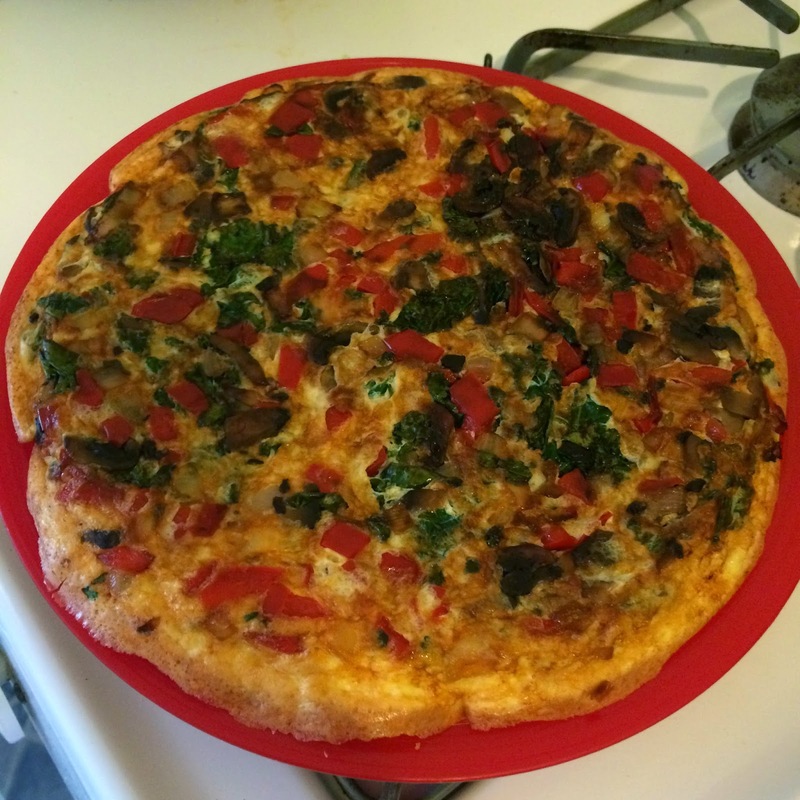 Yum, I love frittata and that pan is awesome!! oh my this looks amazing all my pans are welll.... well used,,, the food came out great!! 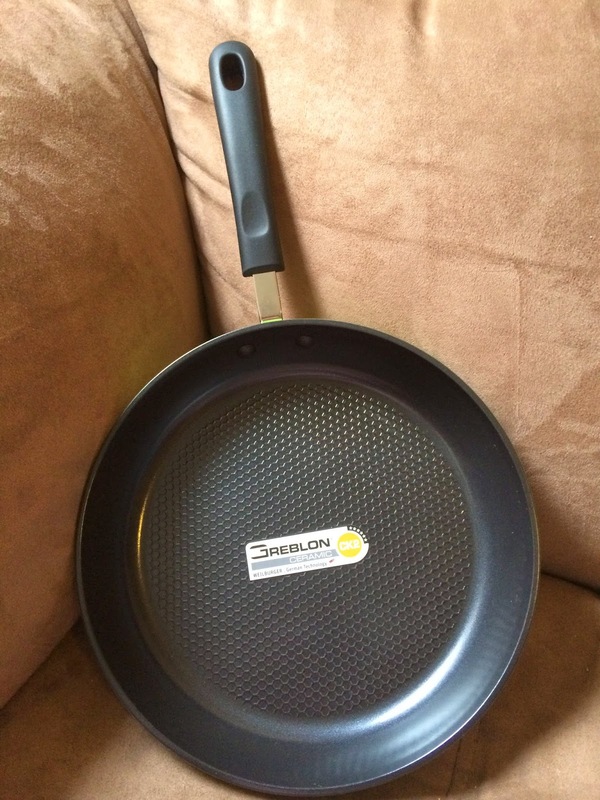 I may say that your Green Earth pan looks like the same with mine and I really love cooking on non stick pan especially on perfecting an Omelet. This recipe looks so delicious and healthy! I will definitely have to try it out. The pan looks really nice too. That looks fantastic and I love that the pan is worry-free from health concerns. I so want one of these pans and I love the color you choose. The food looks amazing and now I am hungry. Thanks for sharing. I love your recipe, and better yet, I can try it today even though I'm on a low carb diet. You should see my pans. They are SO old and sad looking. I need that pan! What a delicious recipe! I think I will try it out myself! Yummy! That looks yummy! Cute color on the pan too. This frittata is so similar to what we call fritas. I love the pan.